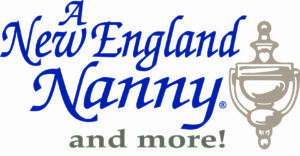 GTM Welcomes Families of A New England Nanny! Minimum Wage: in New York City, the current minimum wage is $13.50/hour for small employers; $12/hour in Long Island and Westchester County; $11.10/hour for the rest of the state. Workers’ Compensation: in New York, household employers are required to have workers’ compensation insurance. Contact GTM for a price quote. Overtime Rules: hourly employees in New York are entitled to a special overtime pay rate of at least 1.5 times their regular hourly wage for all overtime worked, if they work more than 40 hours in a week (more than 44 hours in a week if the worker lives in their employer’s home). Domestic Workers’ Bill of Rights: New York has special laws that pertain to the employment of domestic workers. Read more about New York’s Domestic Workers’ Bill of Rights.